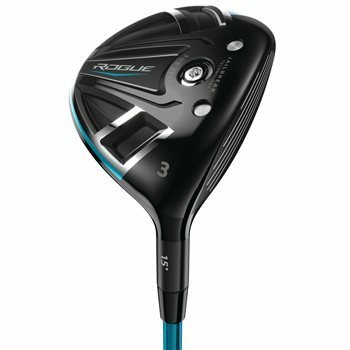 The Callaway Rogue Sub Zero fairway wood combines the power of Jailbreak Technology and Face Cup Technology to promote fast ball speed across a large part of the face for consistently long distance. The Triaxial Carbon Crown increases MOI and provides lower spin while the 5-gram weight screw in the sole’s front helps to position CG low and forward to lower spin for long distance. The size, shape and position of the Speed Step have been refined to improve airflow and promote faster head speed.